The Neighborhood Roofing crew installed a replacement roof on this home. 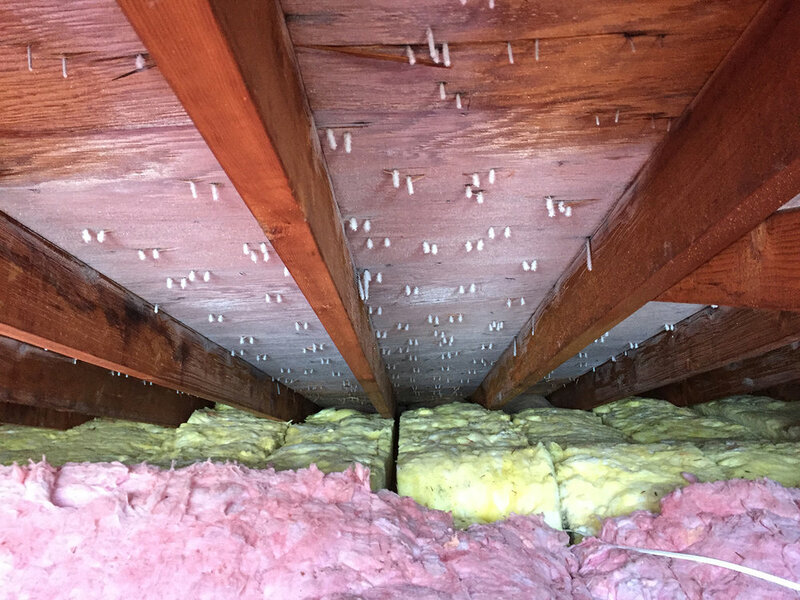 Improper ventilation caused frost build up inside the attic. Delaminated decking baffles and soffit vents were added.